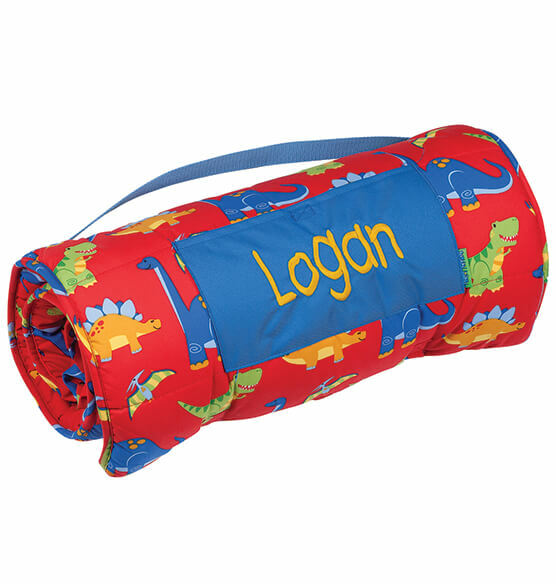 Naptime becomes an adventure when snuggled up in this Personalized Stephen Joseph® Dinosaur Nap Mat with a bright dinosaur print! Complete with a soft, built-in pillow and cozy velboa-lined blanket interior, the all-in-one nap mat will have your little one drifting off to sleep in comfort ... as the fun dinosaur pattern inspires action-packed dreams. 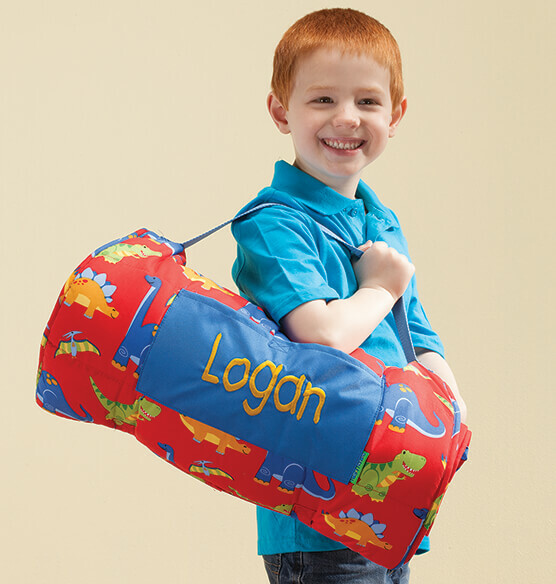 Perfect for camping, sleepovers and fishing trips with Grandpa, it rolls up with an easy-to-carry shoulder strap and includes a handy front pocket for PJs and a toothbrush. We'll personalize for your little dinosaur lover, making this nap mat even more fun!